This week we were lucky enough to have a Weekend Box delivered to us. I have seen these on blogs and have been over before to have a nosey around the site. Weekend Box was born from idea Andy Stephenson had after looking for gift ideas for his nieces and nephews. 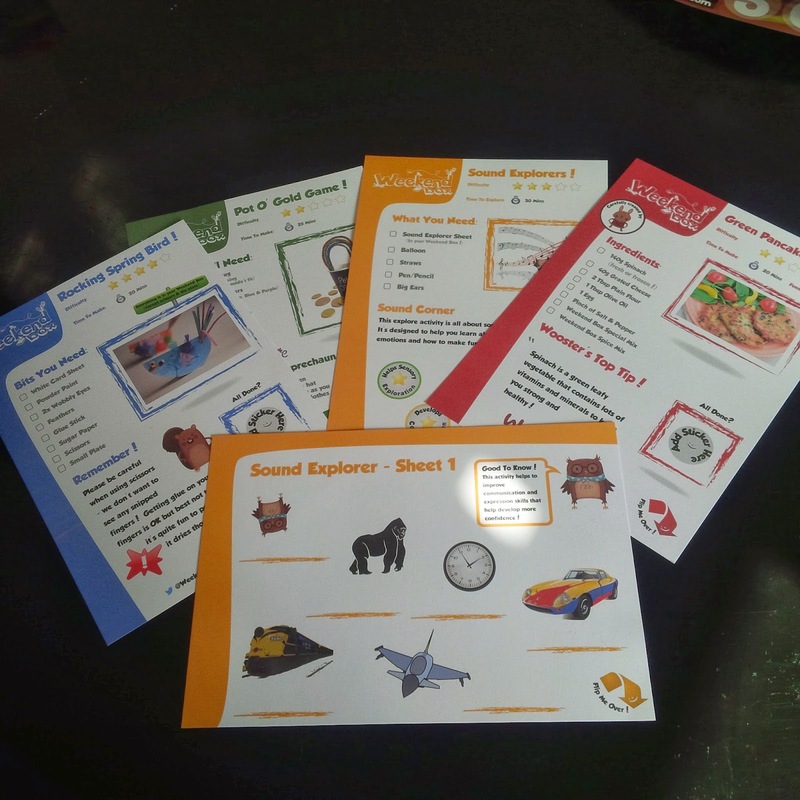 Weekend boxes incorporate 4 categories, something to eat, something to make, something green and something to explore. 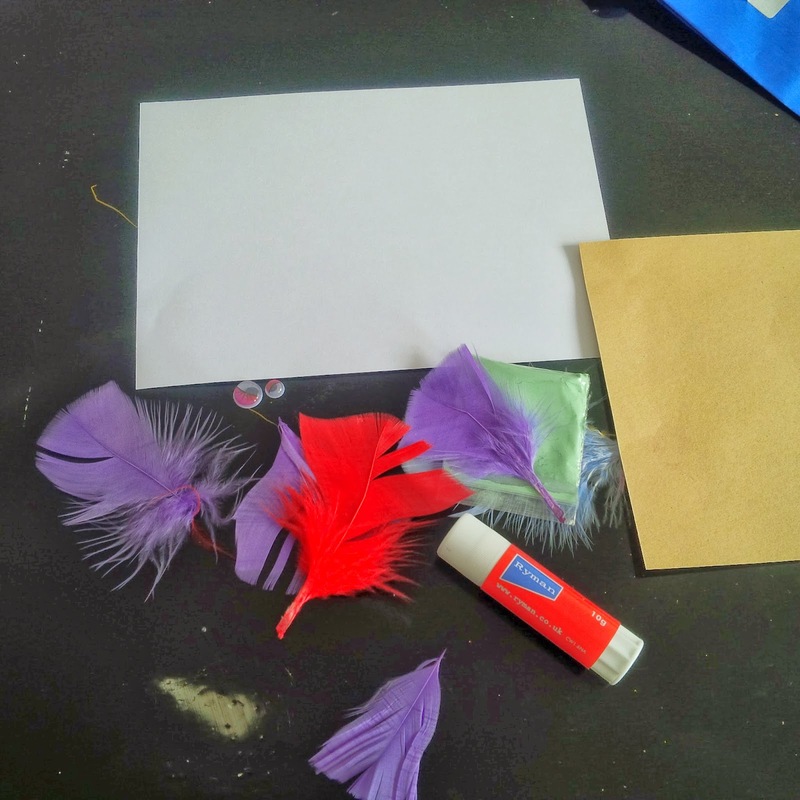 They are aimed at children aged 3-8, perfect for Olivia, fit perfectly through your letter box and incorporate a whole lot of fun to be had indoors or out! I was pretty impressed when the box turned up and couldn’t wait to open it up to have a peek inside. There are 4 different coloured envelopes with matching cards. Some stickers and a lovely poster to collect your finished stickers on. Each of the envelopes and corresponding cards list all contents included, you pretty much get almost everything you need if it can fit in the box it is in the box! Pretty handy especially if like me you are never quite sure of what or if you have all things you need for a good arts and craft session! All the instructions are written out in an easy and simple way to follow, step by step. I am not very ‘artsy’ so step by step is the way it needs to be for me! The materials are excellent quality and they really do think of everything! Obviously you do need to add a few items yourself. Like fresh food for the EAT activity and we needed to find a paint brush to paint our rocking bird. I wrote myself out a list of extra bits I needed so I had everything ready. I think I was more excited than Olivia to get stuck in if I’m honest. This type of thing is right up her street as she loves nothing more than having a good arts and crafts session, getting pens, paints glue out and making things my house is over run with with all kinds of stationary bits and pieces. There is so much to do in the box it really could keep you occupied for the weekend but for me, as I unfortunately work weekends, it gave me something I could do with Olivia, sit down with her and have some good quality time together before I have to head off to work or after I finish my shift. 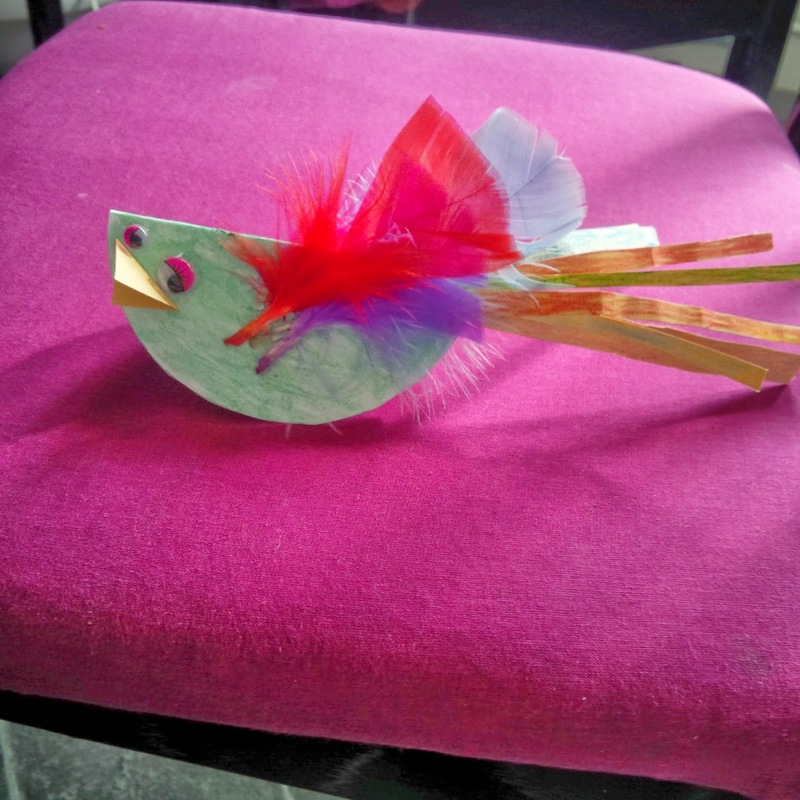 We really had so much fun working together, discussing what colour to paint our rocking bird’s tail, multicoloured, where should we put the feathers. But what I noticed the most was that it held her attention, she enjoyed reading what to do next, how to do it and learning new skills. I was impressed by this as she has a really short attention span and she stayed with it until it was finished even though it was only for 20 minutes! Even her favourite Disney channel show can’t do that, well done to the Weekend Box team for this. Olivia took the Weekend Box to her Nan’s to share with her cousins when they had a sleepover and they made the EAT Green Pancakes, to tie in with St. Patrick’s Day. Now she doesn’t like pancakes and pulled faces at all the ingredients involved but when I got home from work she couldn’t wait to tell me how yummy they were and that everyone helped to make them and that everyone loved them. Unfortunately there were none left for me when I got home from work to taste myself and they didn’t last long enough to get a picture but they got a huge thumbs up from all involved. I didn’t want to rush through this box as they are so well put together they deserve time and attention to enjoy them properly but I wanted to share my thoughts and results so far with you all. I will post again when we have finished our box, show you how we got on with different activities. I want this review to be honest so I have been thinking of how to not make it sound so amazing but I can’t. The box lived up to it’s hype off their website and I genuinely am really impressed with it. My only issue, well Olivia’s really, was that she found the glue wasn’t as sticky as she would of liked so she used her own. But we still give it a 10/10 rating, it even made the famed birthday list! Personally I feel this box has something for all children to enjoy and parents too! It is such a simple yet brilliant idea and with all products reusable and recyclable, with 95% coming from recycled material you can be assured that as well as being fun it it is also sourced with the environment in mind too. Weekend Box’s are available to buy as a gift subscription or as an ongoing monthly subscription which you can cancel at anytime. 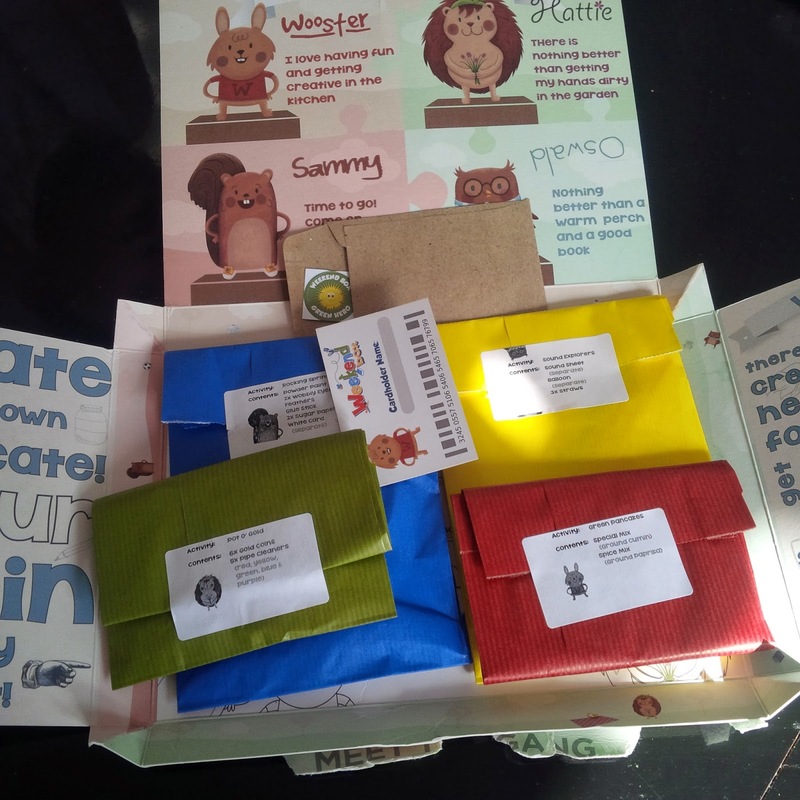 Boxes are sent out every fortnight and you can take as long or as little time as you need to lovingly make your own creations and adventures. You can check them out on Facebook or Twitter where you can share your creations as they love to see what you made with them! They award prizes for their favourite creations too. If you are interested in popping over and are considering trying out a Weekend Box I have been given a code for all you lovely people to redeem to receive your first box free with no obligation. So what’s not to love, pop on over now and have a look for yourself. We loved it so much we are now proud members of the Weekend Box Club.